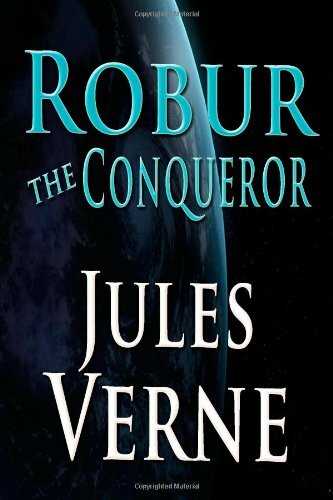 Robur the Conqueror is a science fiction novel by Jules Verne. The story begins with strange lights and sounds, including blaring trumpet music, reported in the skies all over the world. The events are capped by the mysterious appearance of black flags with gold suns atop tall historic landmarks such as the Statue of Liberty in New York, the Great Pyramid of Giza in Egypt, and the Eiffel Tower in Paris.